People in Indonesia enjoy differing levels of respect for fundamental freedoms depending on where they live. Ahead of presidential elections in Indonesia scheduled to be held in April 2019, the crackdown on activists in West Papua have continued. Further, a CSO event was shut down, books banned, and an environmental human rights defender was attacked. A new law has also been proposed that could restrict the freedoms of musicians. 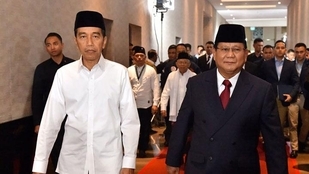 Ahead of presidential elections in Indonesia scheduled to be held in April 2019, civil society activists have been left disappointed by both the candidates. Incumbent president Joko Widodo who had promised to resolve past human rights abuses during the last elections has rejected further investigations by the Attorney General into reports from the National Commission of Human Rights into past human rights violations. According to civil society groups, he has also failed to protect minority groups in the past four years, with persecution taking place of Christian, Ahmadiyya, Shia, and Gafatar communities and discrimination of LGBTI people, is also rife. His government has declined to allow the United Nation’s human-rights chief to visit Papua, where rights groups accuse the military of violently suppressing the independence movement, and has restricted access for foreign media there. His opponent Prabowo, served as the commander of the Army’s Special Forces under former president Suharto. Prabowo has been widely accused of being involved in human rights abuses, including the abductions of pro-democracy activists in the months leading up to the end of the Suharto regime. During a January 2019 public debate, Prabowo made no specific promises on human rights. Over the last few months, the crackdown on activists in West Papua have continued. Other violations documented include the shutting down of a CSO event in Bali, the banning of books connected to communism, attack on a environmental human rights defender in Lombok and the introduction of more discriminatory polices against the LGBT community.. A new law has also been proposed that could restrict the freedom of expression of musicians. "We are demanding that the government cancel plans to conduct raids for books containing leftist ideologies, [because] it violates the rights to freedom of expression and information." Under a 1963 presidential decree, which allowed the government to "secure printed materials with content that could potentially disrupt the public order", numerous books were banned in Indonesia for decades. However, the Constitutional Court ruled in 2010 that the decree was unconstitutional and that the banning or confiscation of books without legal process was therefore illegal. Despite the ruling, ongoing arbitrary confiscations of books by the military, deemed to be related to communism, or the now-defunct Communist Party have continued most recently in Kediri, East Java, on 28th December 2018 and in Padang, West Sumatra on 8th January 2019. In 1965, the Indonesian military launched a systematic attack against members of the Indonesian Communist Party (PKI) and suspected sympathisers, during which an estimated 500,000 to one million people were unlawfully killed and hundreds of thousands were held without trial for periods ranging from a few days to more than 14 years. Many victims and their families continue to this day to experience discrimination both in law and in practice. Lawyers in Indonesia launched a legal action in January 2019, against the arrest of three members of the West Papua National Committee (KNPB), a pro-independence group in Timika, West Papua. Yanto Awerkion, Sem Asso and Edo Dogopia were among six members of the Committee, arrested on 31st December 2018, when police and military took over KNPB's local secretariat. The three men were charged with “rebellion” (makar) under Article 106 of Indonesia’s Criminal Code, on 5 January 2019, which carries a maximum sentence of life imprisonment in Indonesia. Lawyer Veronica Koman said they are demanding that police immediately release the three activists, claiming they have been unlawfully charged. The lawyers are also challenging the seizure of the KNPB secretariat and want police to pay for damages sustained to the premises when police forcibly took control. The last decade has seen an increase in pro-independence political activities in West Papua. Security forces have often used repressive measures against these activists, such as blanket prohibitions on peaceful protest, mass arrests and prosecution under the Criminal Code. Musicians have denounced forthcoming parliamentary legislation intended to control the music industry. A number of musicians met on 31st January 2019 with members of parliament to express their opposition to the draft of the bill on music, which they call “ridiculous” and “unnecessary”, saying it would “shackle the musicians’ freedom of expression”. Among the provisions in the draft many musicians are worried about is Article 5, which says: “In creating, everyone is prohibited from…bringing negative influences from foreign cultures or demeaning a human being’s dignity.” Also, Article 50 states that anyone who is found “bringing negative influences from foreign cultures and/or demeaning a human being’s dignity, as stated in Article 5, could be convicted with imprisonment or fine”. Former Jakarta governor Basuki Tjahaja Purnama, who was jailed for blasphemy, was released on 24 January 2018. Basuki, better known as Ahok, was jailed in May 2017 after a Jakarta court found him guilty of blasphemy against Islam. He was sentenced to two years' jail but was released early after remissions. Ahok was considered a prisoner of conscience and rights groups believe that his words were manipulated for political purposes, to convict him for blasphemy and remove him from power. They have called on the Indonesian authorities to repeal blasphemy laws, including Articles 156 and 156(a) of the Criminal Code that have been used to prosecute and imprison people for “defamation” of religion for as long as five years simply because they have peacefully exercised their right to freedom of expression or to freedom of thought, conscience or religion. According to Human Rights Watch, Indonesian courts sentenced six individuals to prison terms of one to five years in 2018 for violations of the country’s dangerously ambiguous blasphemy law. Indonesian human rights groups condemned the arrests made of West Papuan students and pro-independence activists after they staged peaceful rallies across Indonesian cities on 1st and 2nd December 2018, held to commemorate West Papua’s National Day. On 1st December 1961, the Morning Star flag — a banned symbol for its independence — was first raised under Dutch administrative rule and is regarded as the day West Papua carved out its independence. More than 500 people were arrested during these peaceful demonstrations and security forces used blockades to prevent demonstrators from conducting peaceful rallies in Jakarta, East Nusa Tenggara, North Maluku, Merauke. The majority of arrests took place in the city of Surabaya in East Java where there were reports of excessive use of force and violence by security forces. Security forces also conducted search operations at student dormitories. These resulted in the arbitrary arrest and detention of at least 300 individuals. All of those detained have since been released without charge. An alternative civil society conference on the sidelines of the International Monetary Fund and World Bank's annual meeting in Indonesia in October 2018 was cancelled due to pressure from the police. The planned event -- the "Peoples' Global Conference against IMF-WB" - set to kick off on 11th October 2018 involving around 300 participants from Indonesia and around the world, was to bring together dozens of civil society groups to draw attention to the impact of free trade and IMF-WB backed policies that critics say aggravate income inequality, abuse labour rights and harm the environment. According to reports, police intelligence personnel had infiltrated the event planning team as volunteers, subjecting them to intimidation and constant surveillance. An environmental activist and his family survived an attack on their lives on 28th January 2019 morning after assailants barricaded them inside their home and set it on fire. Murdani heads a chapter of Indonesia’s largest environmental NGO, the Indonesian Forum for the Environment (Walhi). At around 3.00 am, Murdani and his wife woke to the smell of burning on the second floor of their home in Menemeng village on Lombok island in in West Nusa Tenggara province. They immediately woke their two children. and rushed downstairs to find the front door on fire. The fire had surrounded part of the house and was spreading inside. After dawn broke and the police arrived, they found a pillow under the front wheel of Murdani’s car, apparently used to set it alight. They also found a plastic bag that smelled of gasoline by the house. According to Murdani, over the past few months, he had noticed people watching his house. He had recently taken to sleeping on the front porch in order to keep guard, though on this night he slept upstairs. Murdani has spoken out on a list of contentious development projects in West Nusa Tenggara province, where he heads Walhi’s operations— from the reclamation of Bima Bay on the neighboring island of Sumbawa to gold mining on Lombok. Murdani suspects it was his work on sand mining that prompted the attack. Walhi’s chapter in the province has fought illegal sand mines and has urged the government not to issue permits for new sand mines. Residents have complained the sand mining has resulted in damaged roads, landslides and cloudy water. Human Rights Watch raised concerns in October 2018 about renewed anti-LGBT statements and discriminatory policy proposals in the West Java province. Indonesia has been engulfed by a government-driven moral panic about gender and sexuality. Beginning in early 2016, politicians, government officials, and state offices issued anti-LGBT statements – calling for everything from criminalisation and “cures” for homosexuality, to censorship of information related to LGBT individuals and activities. Throughout 2017, police across Indonesia raided saunas, nightclubs, hotel rooms, hair salons, and private homes on suspicion that LGBT people were inside. The Law on Mass Organisations (Ormas Law) continues to govern civil society organisations, and has been used to de-legitimise and control various groups in Indonesia. The Law on Mass Organisations (Ormas Law) continues to govern civil society organisations, and has been used to de-legitimise and control various groups in Indonesia. The law forces civil society to adhere to ‘Pancasila’ or the five principles of state philosophy. Furthermore, the law constrains the receipt of foreign funding, places restrictions on the activities of CSOs and gives authorities the ability to dissolve associations without obtaining a court order. The law also contains discriminatory measures designed to stop international civil society groups working in Indonesia. The implementation of the law has drawn criticism from the international community and demonstrates the challenge of balancing religious philosophy with civic freedoms and religious plurality. This is best demonstrated by the experiences of groups working on LGBTI rights, who frequently document abuses committed with impunity against minority groups. Furthermore, CSOs operating in West Papua experience a highly repressive environment where activists are routinely arrested. There are currently an estimated 4,198 political prisoners from West Papua being held by the authorities. For the most part, people in Indonesia enjoy the right to freedom of peaceful assembly, with regular protests on a range of issues taking place peacefully and without impediment. For the most part, people in Indonesia enjoy the right to freedom of peaceful assembly, with regular protests on a range of issues taking place peacefully and without impediment. While in the rest of Indonesia, the organisers of public assemblies are only required to inform the police and assemblies are prohibited from being held at government sites and transport stations, in West Papua the police unnecessarily restrict many forms of protest against the state by students, political groups and human rights NGOs. On 4 May 2016 over 1,720 activists were arrested for holding rallies in support of a pro-referendum group. Security forces’ use of arbitrary and unlawful arrests coupled with acts of intimidation across West Papua provoked an outcry from local and international civil society groups. More recently, on 12 June a further 31 activists were arrested in West Papua for handing out leaflets about an upcoming pro-referendum rally. While freedom of speech is guaranteed in Indonesia’s Law No. 9 of 1988, this freedom is not fully respected in practice, particularly in West Papua. While freedom of speech is guaranteed in Indonesia’s Law No. 9 of 1988, this freedom is not fully respected in practice, particularly in West Papua. In attempting to freely express their views, the Melanesian peoples of West Papua have suffered arrest, torture and killings by the Indonesian military, who have acted with impunity. A 2008 law regulating electronic information and transactions (ITE) made defamation illegal and punishable by a prison sentence. Civil society groups working on sensitive issues which challenge the status-quo are vulnerable to prosecution, or self-censorship. The ITE law has also been used by the authorities to censor the Internet. 85 people were prosecuted using the ITE law between 2014 and 2015. In April 2015, simultaneous protests were held all over the world that highlighted the media blackout in West Papua and called for an end to 50 years of isolation.’ Press freedom has suffered in West Papua under de facto military rule. Indonesian journalists face intimidation if they cover events in West Papua. International journalists, human rights organisations and humanitarian agencies have been prevented from entering West Papua despite promises by President Joko Widodo to open up the province.